So we have reached the end of the road. After a season that saw me trail Brawn’s Jenson Button for most of it, the final event is here, and Button is not the man who can deny me the title. After the previous race in Brazil, I wqs nine points clear of Red Bull’s Mark Webber, and the best he could score was 10 points. Therefore, for him, winning the race is the only chance he had. 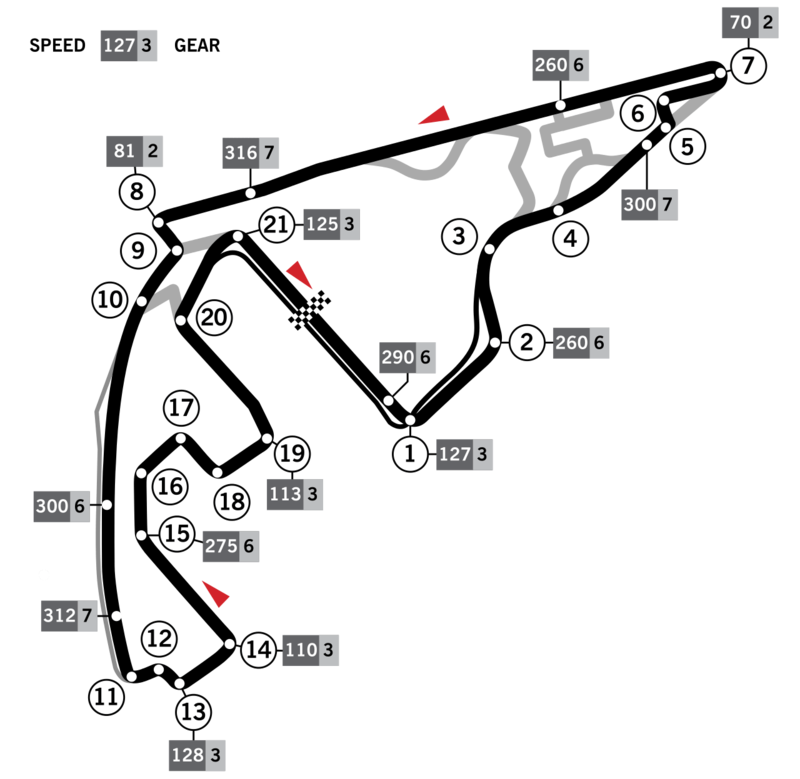 The Yas Marinas circuit was first introduced to Formula 1 in 2009, and it has played host to a number of season finales. In 2010 it was the venue as Sebastian Vettel clinched his first title, having not previously led the standings at any prior stage. It was also the place where Lewis Hamilton would win his second title in 2014. The track is quite fast, with one or two unique kinks that, from a fan perspective, don’t necessarily need to be there, but are certainly fun to drive! Turn 1 is reasonably fast, but you need to snap the car back onto a straight line or you’re going onto the gravel. The next couple of corners are fast, sweeping and lead down to a chicane that slows you right down before a tight left hairpin. You’re then onto the main straight, and after a hard hit of the brakes for another chicane, you’re back onto another fast straight. The final portion of the track is a windy, bendy sequence that is superficially fast but keeps you honest – overdo it and you will go wide. In practice it was clear I was comfortably quicker than everyone else, and this form carried on into qualifying (though curiously, in Q1 I was only 4th), with yet another pole position secured. At the start of the race, I was beaten off the line by Button but got back by him by the end of the lap and proceeded to open up a big lead – until around lap seven/eight, when my front right tyre locked up. Game mechanics being what they are, I could not pit until lap 12, but despite this, I was still some 11 seconds in the lead when I stopped. I rejoined in 8th, and as everyone ahead of me pitted, it wasn’t long before I was back in the lead. After my second stop, I emerged only half a second in front of Webber, but again pulled away, and after my final stop, I was completely clear. From that point forward, it was a case of concentration – taking each lap as it came, making sure not to run into the back of any lapped cars. As I finished the final lap, I also took my eighth win of the season, and more importantly, I had finally managed to win a world championship! It’s been a long journey, and a fun one. I have learned to persevere with something that had previously done nothing but frustrate me. I took the time to learn the tracks and figure out how the tyres perform. I won 8 races, which is far better than I’d ever managed before, and than I’d imagined. I am especially proud of winning at Monaco, and I would have won at Singapore (another track I don’t like) if not for engine failure. I am delighted with how the season has gone. to complete every race, at full length, was a gruelling experience but one I look forward to repeating for season two!